Local governments of all sizes are setting energy goals across Minnesota. They see the rapid advancements in technology and the economic benefits that come with renewable energy and electrification of transportation. Yet when it comes to implementation, communities regularly face barriers to enact the programs and projects that will help them achieve their goals. The primary barriers faced by local governments are policy or regulatory hurdles. Addressing these barriers would require changes at the state level to free-up cities to take more control over their energy future while also creating an environment where the state and local governments can support each other to achieve mutual goals. In West Central Minnesota, the town of Morris (home to University of Minnesota Morris) is finding ways to advance clean energy and work in partnership with the state. To learn about what Morris is accomplishing, I spoke with Blaine Hill, city manager for Morris, who sees opportunity in working through policy channels to open a dialogue between the state legislature and local governments on working together toward a clean energy future. Energy innovation in Morris began on campus. The University of Minnesota Morris is a leader in renewable energy, emission reductions, and innovation in campus sustainability. In 2017, University of Minnesota Morris was recognized in the Sustainable Campus Index as the seventh-place performer among baccalaureate institutions in the country and the only public institution to be included in the top ten. The university’s ambitious Climate Action Plan includes a goal of carbon neutrality by 2020. The University of Minnesota Morris embarked on a wide variety of initiatives to reach this goal. Two wind turbines at the University of Minnesota West Central Research and Outreach Center generate more than 10 million kWh of electricity per year, which meets an average of 60 percent of the annual campus needs. The university added a biomass gasifier to the campus district heating plant displacing 8,000 tons of CO2 emissions per year. The university’s fleet is in the process of switching to hybrid gas-electric vehicles. A number of other initiatives, led by students and staff alike, are contributing to the university’s carbon neutrality goal and demonstrate the University of Minnesota Morris’ leadership in higher education sustainability. In 2013, as part of an effort to expand trade between Minnesota and Germany, a delegation from Minnesota attended a German energy conference that included former vice chancellor of finance and facilities at University of Minnesota Morris, Lowell Rasmussen. During the delegation, Rasmussen shared the innovative efforts of the university and visited Saerbeck, a small German city that is a leader in energy innovation. Rasmussen returned to Morris inspired by the community-wide energy efforts in Saerbeck and sought to expand sustainability initiatives in Morris beyond the university. Two years later, the Climate Smart Municipalities initiative launched to formally connect cities in Minnesota and Germany to continue this knowledge exchange. The Climate Smart Municipalities initiative is a project of the University of Minnesota’s Institute on the Environment that pairs cities in Minnesota with communities in the German state of North-Rhine Westphalia. Cities learn from each other about innovative, practical sustainability efforts to bring back to their respective communities. Morris was selected to participate in the program and was partnered with Saerbeck in consideration of the existing relationship with the university. Saerbeck is a town of about 7,300 people that set a goal in 2009 to be energy independent by 2030. By 2015, Saerbeck not only achieved that goal—it was producing 250 percent of the electricity consumed. Blaine Hill, Morris’ city manager, has been representing Morris in the Climate Smart Municipality program. Visiting Saerbeck and learning more about the systems in place to reduce emissions through clean energy and community education changed Hill’s outlook about what cities can achieve at the local level. After visiting Germany and continuing with the Climate Smart Municipalities program, “we are looking at everything we are doing differently because everything is going to be different 20, 30 years from now.” From examining building operations to advancing renewable energy production to waste management strategies, “we learned all of that from our German partners.” Particularly lessons about waste management, renewable energy, electric vehicles, and bringing the community into these discussions have stuck with project partners in Morris. After Hill’s experience learning about Saerbeck’s approach to sustainability and energy innovation, he came back to Morris eager to work on initiatives in his community. However, he ran into several barriers as he worked on local implementation. 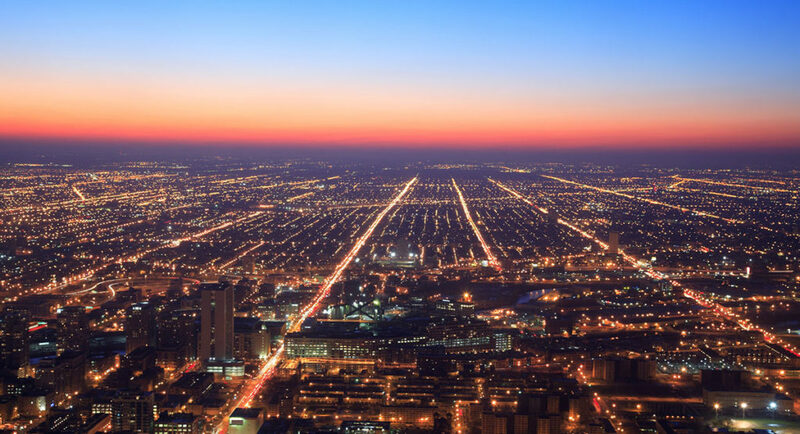 One prominent example came up when the city wanted to convert streetlights to LEDs. The streetlights are owned by the city’s electric utility, Otter Tail Power, which is regulated by the state. In order to change the streetlights, the utility needed to go through the regulatory process to set a new rate schedule for the conversion. Ultimately, a new rate schedule was approved and the city was able to get the streetlights converted to more efficient and lower cost LEDs. Other barriers can arise in communities looking to install large renewable energy projects. 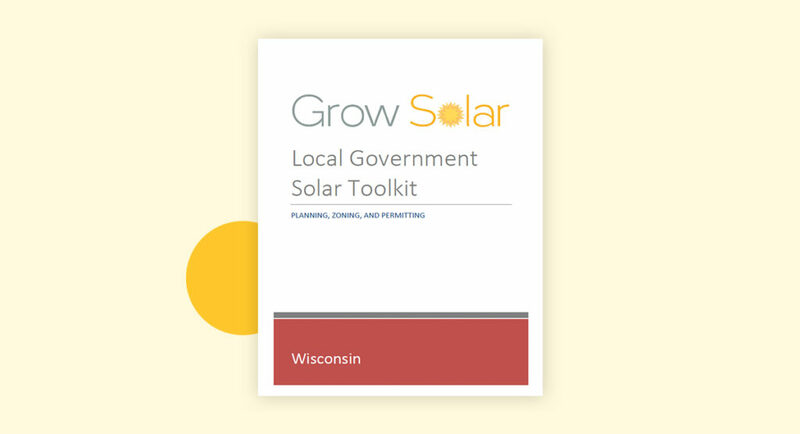 Depending on a city’s utility, there may be opportunities to participate in renewable energy through a green power purchase program or a community solar garden program. Those options tend to work out well for residents and businesses who don’t have a good renewable resource onsite or face other barriers, like financial or regulatory. Yet, there are many communities that don’t have those options, limiting their ability to meet any renewable energy goals. As more cities set clean energy and greenhouse gas reduction goals, there is opportunity to coordinate between different levels of government to advance implementation and help the state get on track to achieve its greenhouse gas reduction goals. Since participating in the Climate Smart Municipalities program, Hill has become more involved with the advocacy efforts of the League of Minnesota Cities, an organization that he has been a part of for many years. Through this engagement, he has worked with other city officials advocating for policies to support municipal energy policy goals. In addition, he has engaged individually with legislators on the importance of supporting local level energy action. “Educating legislators on the things that are happening [on climate and energy] is critical,” Hill shared. The field of energy is constantly changing and new information always emerging, so opening dialogue between levels of government has been important in Hill’s experience. He also stressed the importance of legislators hearing the perspective of city and municipal leaders on these topics. 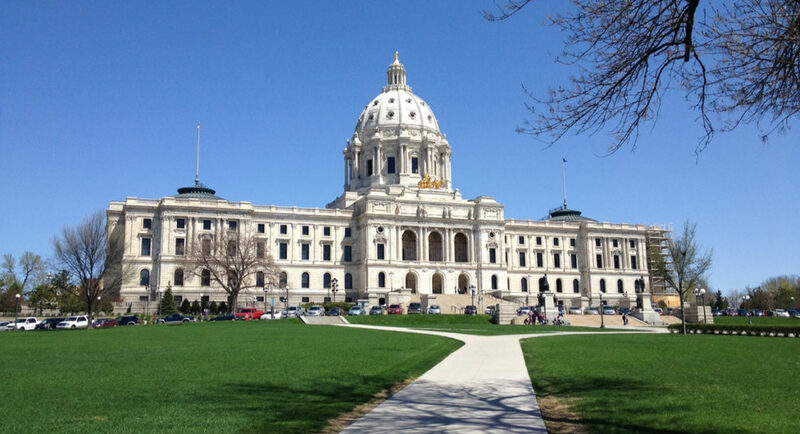 In the League of Minnesota Cities’ 2018 statewide advocacy agenda’s section on “State Support for Municipal Energy Policy Goals,” the league calls on legislators and state executive agencies to assist cities, townships, and counties with their efforts to undertake energy projects. Policy recommendations to support local level energy initiatives include increasing flexibility for utilities to work with local governments, supporting the transition to electric vehicles, and supporting B3 benchmarking tracking. 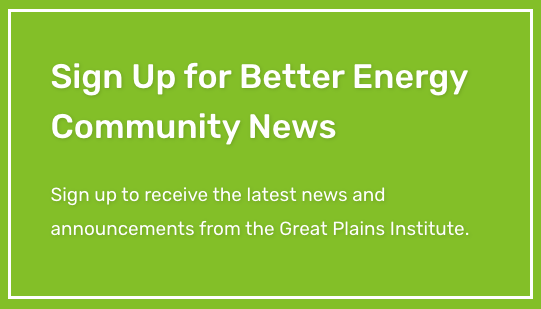 These recommendations seek to increase support to municipalities on achieving their energy goals in part to contribute toward achieving statewide energy policy goals. Minnesota has goals to reduce greenhouse gas emissions 30 percent by 2025 and 80 percent by 2050. To achieve these goals, everyone needs to be on board, from businesses and residents, to farmers and industry, to local governments and utilities. Greater impact can be achieved by aligning goals and removing barriers. 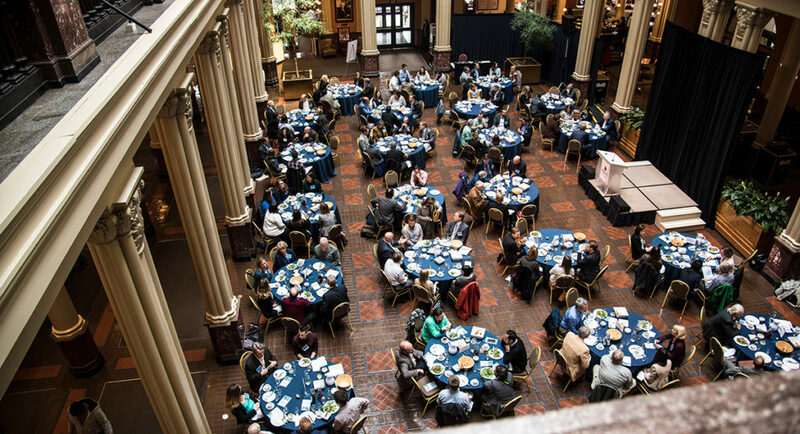 When barriers arise that prevent cities from taking action, engaging with individual legislators and the League of Minnesota Cities on policy advocacy may help to address these concerns on a local level. This engagement could also offer a collaborative path to help move the state forward in reaching its own energy goals. The innovation and leadership around energy and sustainability initiatives in both Morris and at the University of Minnesota Morris has culminated in the creation of the Morris Model, a framework of community-wide action on energy, resiliency, sustainability, and international collaboration for local change. The main objective of the model is to identify what it means to be a sustainable community and set goals, strategies, and ideas to build a safe, clean, and healthy future. Within this framework, stakeholders from across the community in Morris and across the ocean in Germany are collaborating on innovative local-level actions to propel these communities toward a sustainable future. As Morris looks to advance its clean energy and sustainability efforts through this initiative, more cities and the state can look to this model to find a clear path forward together.